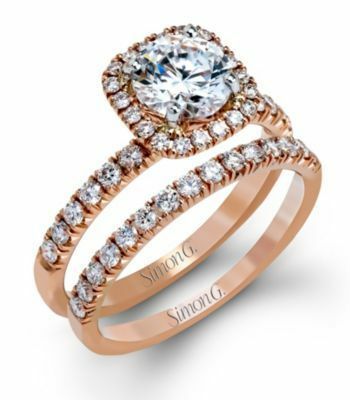 BRIMMING WITH GLITTERING DIAMONDS THIS ENGAGEMENT AND WEDDING RING SET IS A REAL EYE-CATCHER From Simon G. comes the Gorgeous Eye-Catching Diamond Engagement Ring & Band. 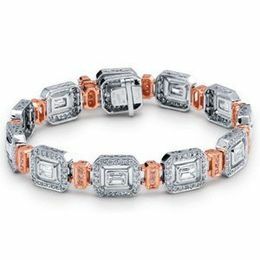 Set in 18 karat rose gold a total diamond weight of .72 carats of brilliant white diamonds delicately wrap her finger for elegant bling. The small round diamonds frame the larger white diamond in a beautiful halo. 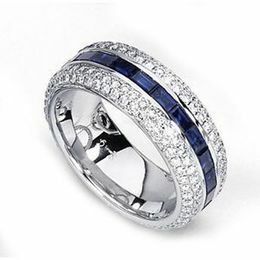 Designed for comfort she will be fascinated by the sparkle while gazing at this stunning bridal set for years to come.